Will you find all the hidden words ? 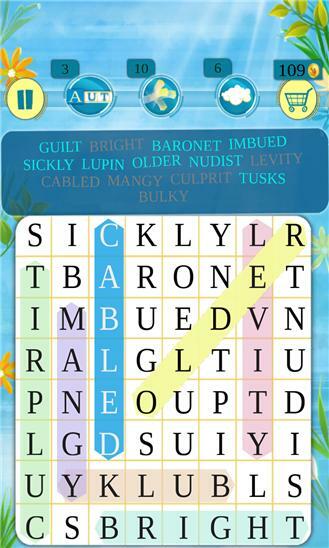 With Words MishMash, Magma Mobile brings you a polished HD graphics word search game. 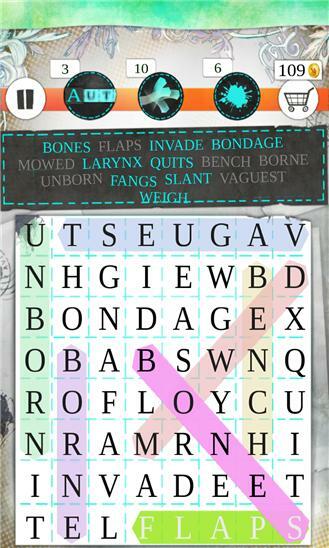 The objective of this mystery word game is very straightfoward: find and mark all the words hidden inside a grid filled with letters. As you word seek your way through the grid, you will do your best to find all the words in the quickest amount of time. Hours of simple fun ahead of you.